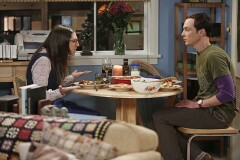 Pictures from the next epsiode of The Big Bang Theory, "The Indecision Amalgamation", have been added to our gallery. 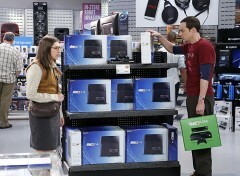 Wil Wheaton makes another guest appearance in the episode, which airs Thursday, April 3. Check out the pictures below and head over to our gallery to see all the photos. View more pictures in The Indecision Amalgamation album. 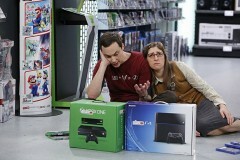 While Penny struggles to decide whether to take a role in an embarrassing movie, Sheldon is torn over which video game system to buy, and Raj is dating two women at once - but will the guilt be too much for him? Pictures from next week's Thanksgiving-themed episode of The Big Bang Theory, 7.09 "The Thanksgiving Decoupling", have been added to our gallery.